Kuala Lumpur's Petronas towers have come to symbolize modern Malaysia. They stand 452 meters (almost 1.5k feet) over downtown KL and were, for a six year period, the tallest buildings in the world. While they no longer hold that title, they are still amongst the most recognizable skyscrapers and the most widely recognized "duo" since the demise of the World Trade Center. Contributor Mumbaimonkey treats us to an amazing aerial look at the towers courtesy of his DJI Mavic Pro drone. 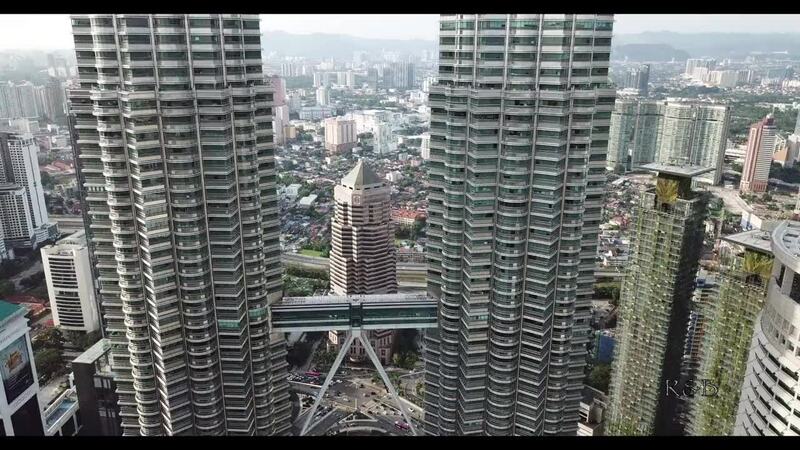 Description: Flying around and between the iconic twin towers in kl with the DJI Mavic Pro Platinum.